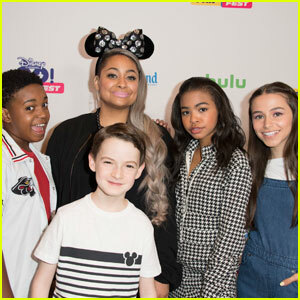 Jason Maybaum stars as Fletcher in the upcoming Freaky Friday movie musical on Disney Channel this week, however, that wasn’t his only role. 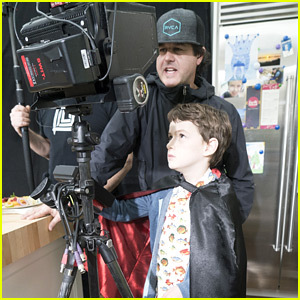 In between filming, the 10-year-old actor was also learning what goes on behind the camera too. Jason started to pursue more of his interest in the camera and lighting aspects of filmmaking and bonded with the crew, who gave him advice and took him under their wing. “I want to be the next Ron Howard or Steven Spielberg,” Jason revealed to JJJ in our exclusive interview. He also gave a lot of thanks to the crew who did help you out. As far as transitioning from in front of the camera to behind it, it wasn’t that difficult. At the end of the shoot, the crew even gave him a video camera as a gift – and yes, he’s been using his video camera a lot! Freaky Friday premieres Friday, August 10th on Disney Channel. Cozi Zuehlsdorff is pretty in pink for the premiere of her new movie, Freaky Friday, held at Beacon Theater in New York City on Monday evening (July 30). The young actress joined her castmates Heidi Blickenstaff, Kahyun Kim, Jason Maybaum, Marlow Percival, Ricky He, Isaiah Lehtinen, Jennifer LaPorte, and Dara Renee on the red carpet event. 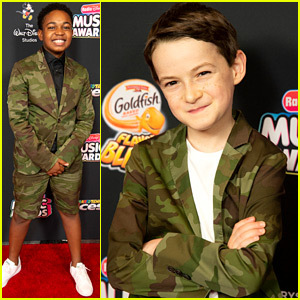 Disney Channel stars Sky Katz, Sofia Wylie, and Isaak Presley were also spotted at the premiere to support the cast. Freaky Friday, about a mother and daughter who magically spend a day in each other’s shoes is set to premiere next week, Friday, August 10th on Disney Channel. Disney Channel's 'Freaky Friday' Musical Reboot Gets First Trailer - Watch Now! The trailer for the Disney Channel Original Movie Freaky Friday is here! Here’s the synopsis: Ellie (Cozi) is a 16-year-old attempting to assert her independence from her mom, Katherine (Heidi), a mother struggling to understand her stubborn teenage daughter. When Katherine won’t let Ellie participate in the school’s all-night scavenger hunt, a heated confrontation leaves both women wishing that the other would change their ways. The mother and daughter magically swap bodies through the power of an hourglass which then accidentally shatters. Now, they must hunt down the matching hourglass in order to switch back before it’s too late! 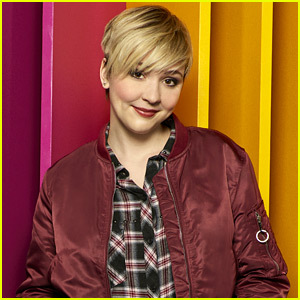 Freaky Friday premieres on August 10 on Disney Channel at 8:00 p.m. EDT/PDT, and will be available earlier (12:01 a.m. PDT) on DisneyNOW (to verified users) and (12:01a.m. EDT/PDT) on Disney Channel VOD. Watch the trailer below, and pre-order the soundtrack here! Disney Channel’s upcoming musical movie, Freaky Friday, just got a premiere date! Based on the stage version of Mary Rodgers’ 1972 novel of the same name, the television movie stars Heidi Blickenstaff as Katherine and Cozi Zuehlsdorff as daughter Ellie. In the flick, Ellie is attempting to assert her independence, all while trying to deal with her father’s death five years ago and the fact that her mom is now getting remarried. A confrontation rises when Katherine won’t allow Ellie to join “The Hunt,” an epic all-night scavenger quest organized by her crush Adam. Upon wishing the other would change their ways, mother and daughter magically swap bodies through the magical power of an hourglass that Ellie received from her father – a treasured gift which is then accidentally shattered. Now, they must hunt down the matching hourglass that Katherine’s late husband gave her in order to swap bodies back to their true selves. 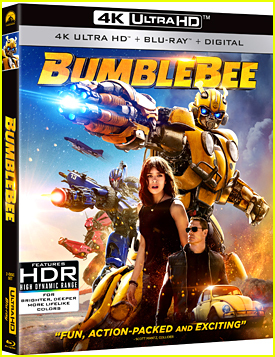 The movie also stars Ricky He, Alex Désert, Jason Maybaum, Kahyun Kim, Dara Reneé, Jennifer Laporte, Isaiah Lehtinen, and Sarah Willey. Freaky Friday will premiere on Friday, August 10th @ 8PM ET/PT on Disney Channel and will be available earlier on DisneyNOW and on Disney Channel VOD.